Dvořák’s compelling music of mourning merges with centuries-old words. Home » Music » Dvořák’s compelling music of mourning merges with centuries-old words. 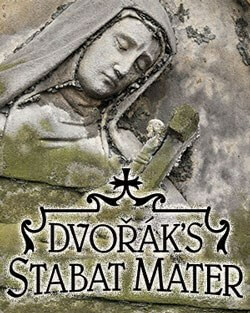 Antonin Dvořák’s Stabat Mater is considered world-wide to be one of his major achievements and a beautiful and stirring evocation of centuries- old rites of mourning along a path to peaceful acceptance. Relative to other masterpieces of the same inspiration, the Czech composer’s is often called the most symphonic. We have a rare chance to become immersed in its flowing lyricism and expressiveness when four soloists and four vocal ensembles merge with the Omaha Symphony and music director Thomas Wilkins for two performances. During the secular and sacred works- inspired 90 minutes of Dvořák’s exploration, he incorporates the words of a hymn most often attributed to thirteenth-century Franciscan monk Jacopone da Todi. The title comes from the first line, Stabat mater dolorosa (“The sorrowful mother stood”) a meditation on Mary’s suffering during Christ’s crucifixion. The interpretive artists are soprano Caitlin Lynch, mezzo-soprano Helen Karloski, tenor Alexander Lewis, bass Tyler Putnam, the Omaha Symphonic Chorus, Creighton University Chamber Choir, the UNO Concert Choir and Chamber Choir, Resonance and the Omaha Symphony Orchestra. Judith Clurman is chorusmaster. Thomas Wilkins conducts.